The International Brazilian Jiu Jitsu Federation is the leading authority in Jiu-Jitsu competition. The IBJJF ruleset is constantly evaluated and improved to ensure competitors have the best experience possible. These rules have become the standard in Brazilian Jiu Jitsu competitions and are the ruleset followed by the AZBJJF. In addition to following the IBJJF ruleset, the AZBJJF also employs IBJJF referees. Referees are required to attend rule seminars to stay up to date on the rules and scoring system. These seminars are held around the country and require participants to pass a written test. IBJJF referees are flown into Arizona to work AZBJJF tournaments, as these referees are the most consistent and well trained in the industry. There are some modifications the AZBJJF makes to the IBJJF rule set. One of the modifications are the inclusion of exhibition matches. These matches aim to get kids to get at least 2 matches regardless of the outcome of their first match. Also, 2-person Kids divisions are run in a best out of 3 format. 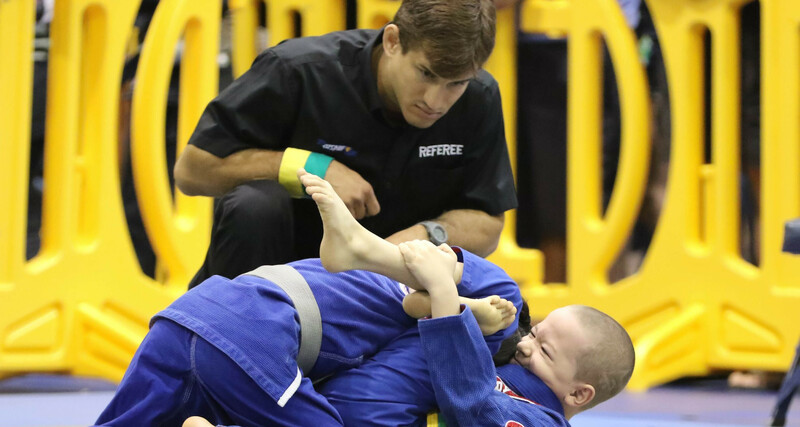 These modifications allow Kids competitors to gain invaluable competition experience that will benefit them as they advance into the adult ranks. For more information regarding AZBJJF rules and regulations visit https://azbjjf.smoothcomp.com/en/reference/rules.